A recent Journal of Environmental Health Research study found that a person is 100 times more likely to catch a cold while on a plane than during everyday life. Infection can spread more easily among people in enclosed spaces especially hotels, cruise ships, air carriers, hospitals and restaurants. 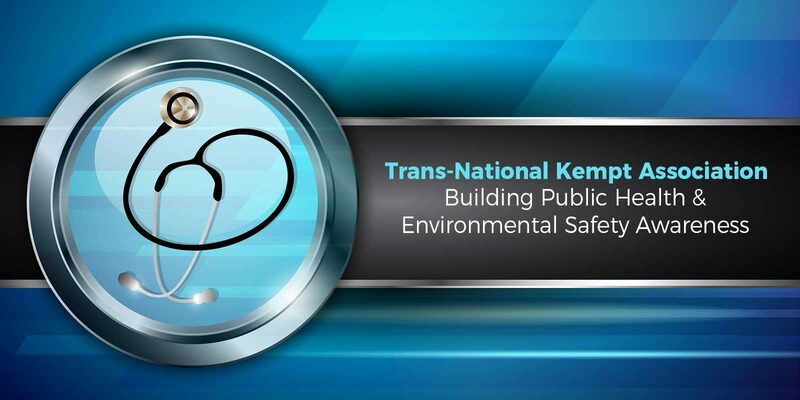 Reggi Kemp, award-winning businesswoman and environmental cleaning expert, discusses the launch of the Trans-National Kempt Association (TNKA), a promoter of public health and environmental safety management within the cleaning business industry. Kemp’s goal is to create professional curriculum, industry standards and ratings across the cleaning industry. Ms. Reggi Sturns-Kemp joined forces with her husband to manage and operate Kemp & Sons General Services, a Texas-based, award-winning environmental cleaning company that services contracts in multiple states. She is a graduate of Clark Atlanta University (College of Business) and The University of Oklahoma (College of Architecture). Under her leadership, Kemp & Sons General Services continues to position itself as the premier solution for entities within the federal government, health care and transportation sectors. Reggi spearheads the company’s philanthropic efforts locally and abroad. Most recently, Kemp has established college fund endowments and scholarships at Texas institutions of higher learning. She is also active in women business issues and economic development related to small disadvantaged businesses. The Trans-National Kempt Association (TNKA), which launched August 15, is the brainchild of Reggi Kemp, chief executive officer of Texas-based Kemp and Sons General Services. Her goal is to create professional curriculum, industry standards and ratings across the cleaning industry. According to Allied Market Research the cleaning market is expected to exceed $74 billion worldwide by 2022. This is an opportunity to standardize an industry that has never, in its existence since 1898, been regulated. TNKA is the right place and time for cleaning industry professionals, veterans, product specialists and service technicians to engage, share strategies and gain access to invaluable resources. Neal Howard: Hello and welcome to this Health Supplier Segment here on Health Professional Radio. I’m your host Neal Howard, thank you so much for joining us. Our guest is returning to speak with us, Reggi Kemp, she’s the CEO of texas-based Kemp and Sons General Services and she’s joined today by Patience Rose, her business analyst with Kemp and Sons and they’re going to talk with us today about TNKA, the Trans-National Kempt Association. And Reggi, thank you so much for joining us again today. It’s been quite a while since we had a conversation, how have you been? Reggi Kemp: I’ve been really well, thank you for having me. Neal: Great. And Patience, nice to meet you for the first time. Thank you for joining us on the program today as well. Patience Rose: Well thank you so much. This is a wonderful opportunity, we’re so excited. Neal: Well Reggi, as I said, you are the CEO of Kemp and Sons General Services – just a little bit of background about your company for those of our listeners who haven’t had an opportunity to hear some of your other segments. Reggi: Okay. Well Kemp and Sons General Services were actually a cleaning company and we were formed in 1972 so we’ve been around over forty five years. And because we’ve been in the industry so long and we’ve seen so many disparities, we decided to work on other things that would help our industry substantially. Thus, we now have Trans-National Kempt Association which we consider, we call it TNKA and the goal of TNKA was to bring a group of people together or community of people together to make sure that we are establishing the right governing body and rules to make sure our industry is able to survive. And also, we’re concerned about public health globally, not just public health public, health globally and there are so many things that need to be established in place and in place in order for people to be safe. Neal: Are these rules suggestions, regulations? How staunch are these rules that you’re talking about? Isn’t this industry regulated already by the government? Reggi: I’ll let Patience speak to that. Patience: Well we did quite a bit of research last year to look to see what the government actually regulates. And as we started looking into the development of this organization, what we found Neal is that there are literally no regulations in place for the industry, not here in the United States. And one of the things that was really kind of interesting is when I started looking into the Department of Labor’s requirements for people who work in the industry, there are no requirements for a person to become a maintenance person or janitor or custodian or anything of that sort. There are no certifications that are required and so they can mix chemicals how they want, they can go in and do whatever see what while they’re cleaning your establishment and literally you are just at the mercy of whoever it is, of their own integrity as to whether or not they do a great job or for that matter, their own knowledge because sometimes they just don’t know. Neal: That’s amazing to me. As many times as I’ve seen people going in and out of buildings, all different types of buildings, hotels, airports, cleaning schools – I was under the impression that there were some types of regulations. I mean, they use a lot of chemicals as I’m sure you do Reggi in your business. Lots of chemicals that we’ll need to have a little bit of expertise behind pouring them together, right? Reggi: Right, yeah. And if you’ve been in the business a long time, you’ve sought out the knowledge you know so we interact with the right vendors, we understand chemicals, we understand how to mix the chemicals but that’s not true for every organization or business owner. So there needs to be a standard that governs it from one city, one state, from one country to another. There’s so many broken practices in our industry but there’s nothing that would make a company or a business owner or even a prospective client to conform because there’s nothing established. And when I speak of broken practices, if you go to a luxury hotel, luxury doesn’t necessarily mean cleanliness. And so although your hope is that that hotel will be clean regardless of the star level, but it doesn’t mean, if they run out of laundry detergent soap or if they mix something incorrectly or if they buy products that doesn’t have any disinfectant value to it – they’ve just purchased that and you suffer, the public suffers as a result of maybe their lack of knowledge or simply that from one cleaning crew to the next, they’re not following the same structure, regimen, process. It just doesn’t exist. Patience: One of the things that I observed when I actually worked in the industry … is that in a government institution, they ran out of soap. And the soap was on the back of a truck and it was going to take another two weeks for it to get to them and they literally went is using hand soap to wash dishes with because they had no antibacterial, no germicidal soap available. And nobody of course who ate off those plates knew what was going on and neither did any other and this is a government institution. So there are some regulations that were supposedly in place with regards to not necessarily how they clean but with regards to what they used to clean and those things were not used because they weren’t available. Reggi: And I think another thing that’s really interesting is that any any and every profession has a governing body and/or they are respected for what they do. This is the only profession that has been around for years, the first documented process was 1895 but it’s the only profession that has not progressed. For one, because it’s not really considered a profession. It’s just considered to be a labor job so therefore it’s disregarded, disrespected, there’s nothing. If you contact a university or college or whatever, there’s no career driven path or process for this industry. But at the same time, the cleaning crews are the first line of defense when it comes to protecting the public from infectious diseases. Reggi: So is it important that we train them right that we create a profession or career level and pay them accordingly? Or in time do we suffer because of the do we suffer, does our health suffer because we didn’t understand the importance of cleanliness and sanitation within our dwelling places or environments that we go to work or whatever. Whether it be a cruise liner, air carrier, hospitality – wherever you go, you are subject to possibly catching any type of infectious disease if that environment is not cleaned properly. Neal: What types of strides has TNKA made as far as being accepted? What type of reception are you getting from others in the industry about being regulated when there’s been such a long period of time without those restraints, I guess it would be viewed in some operators’ eyes? Neal: Well where can we go online and learn some more about the Trans-National Kempt Association and about Kemp and Sons General Services as well? Reggi: So you can go to transnationalkemptassociation.org and for those who want to become a member, that gives them all the information on the membership. But then there’s also www.tnkassociation.org and it gives them all the information that we have, every social media channel so they can look us up on Facebook or Twitter or Instagram but orgtnkassociation.org and we do need people to come join forces with us because we need the community to make the difference. We are now in an era of social media and that was very important to us to be led by the people. We have a structure of what we want to do and how we want to go forward but we’ve learned over time through social media that it is about the people so we need the people to come join forces with us so that we can make a difference in Congress and every legislatively, everything that we have to do in order for this become a regulated industry. It will not only help public health and environmental safety but it will help with fair wages, fair practices. And it would remove all, there’s such a disconnect between what is needed in the industry and the importance of communicating from the cleaning company to the end-user. Just them understanding how it’s important to communicate about your facility’s needs, we can’t assume we know what goes on. They have to communicate with us from the beginning of a contract to the end of the contract. Neal: Well thank you so much Reggi Kemp, Patience Rose. Thank you both for coming in today and speaking with us. A great topic and also a great push for some regulation in an industry that actually needs regulation, it is such an important industry. Thank you both for coming in today. Patience: Thank you so much Neal.